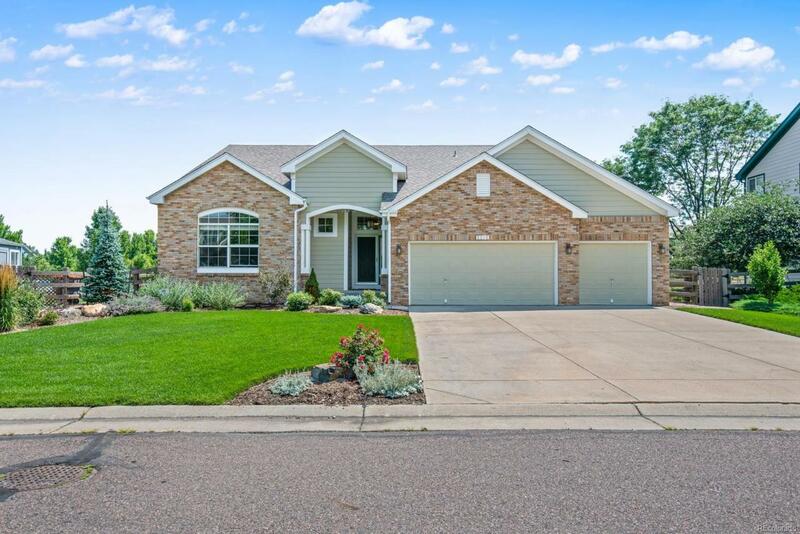 This immaculate ranch home in the desirable Orchard Glen subdivision is in Boulder County, giving you access to its acclaimed schools and services. It features a bright open floor plan perfect for entertaining with a spacious kitchen. High-end finishes include pristine wood floors, granite countertops, custom blinds, a 5-piece bath in the master suite, and tons of natural light throughout. Nestled on a quiet street that backs up to a greenbelt, you'll love the large back deck and stone patio with mountain views of the Flatirons. Plus, enjoy being close to parks, playgrounds, schools, and the Thomas Reservoir. Great opportunity for sweat equity with a full-sized unfinished basement that already has rough-in bathroom plumbing installed and plenty of space to add additional bedrooms or living space.